Our committed, dedicated, passionate and growing team made decisions to come to the Blue Ridge Log Cabins family because they saw the opportunity to fulfill dreams and help families, like yours, find the quality of life you’ve dreamed of in a log cabin. 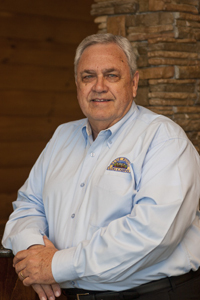 We encourage you to spend some time reading through their bios to learn about the people who make Blue Ridge Log Cabins a reality. Having lived in NJ for most of his life, Alan has also called Kentucky, Pennsylvania and now beautiful North Carolina home. 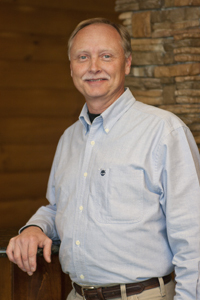 He comes to Blue Ridge with an extensive background in Customer Service, IT and home remodeling. While having been drawn to log homes for many years, Alan never felt quite comfortable with the traditional “kit” homes. “My first visit to Blue Ridge sure opened my eyes to how a log home is built. After taking the factory tour I knew this was a company I wanted to work with….or more importantly, for!” Alan intends to one day own a Blue Ridge log home while enjoying his passion for motorcycles, bicycling, landscaping and just about anything outdoors. 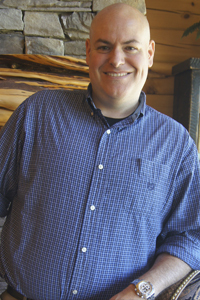 Donald joins the Blue Ridge family with a passion for log homes and the log enthusiast. With over 17 years in the building industry, he brings a well-seasoned experience to the Blue Ridge team. 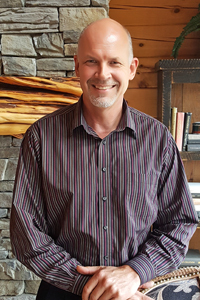 From the system-built to stick framed and site-built log kit companies, Donald has seen first hand the challenges and issues that customers face when building their dream log home. “I’m convinced that the Blue Ridge concept brings an innovative solution to the natural challenges that have always been a part of any log home in the past. With our unique approach, we take the site-built issues out of the equation for the customer while providing them with a better built product at a lower cost. The beauty of it all is that, unlike site-builders, we give our customers a fixed cost on the home; and to a potential customer…that’s a solution.” Donald adds “If every buyer is searching for the right company that carries the right product at the right price, then Blue Ridge Log Cabins is the only wise choice.” Donald lives in Rutherfordton with his beautiful wife Janet and has 3 children. He is the minister of music at his church and his hobbies are woodworking, landscaping and is an avid outdoorsman. Nelson comes to Blue Ridge Log Cabins after spending 26 years as a Middle and High School band director in the NC public school system. He brings the same passion to our team that he shared with his students. The subject matter may have changed, but he still views his profession as “education”. “We have a very desirable lifestyle to offer which is manufactured and delivered in a unique manner. No one else does exactly what we do. 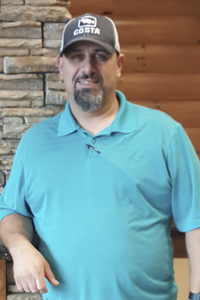 I’m just here to let people know what makes us different and to help guide them through the process of getting the log home of their dreams.” Nelson lives in Boiling Springs, NC with his beautiful and talented wife Crystal and is proud to be “Dad” to three amazing children. He plays his trombone professionally, loves cycling, racquetball, and drum and bugle corps/marching band. Robert is very excited to be working at Blue Ridge, for many reasons, one being the quality of log homes that Blue Ridge build. “Being in the log home industry for over 30 years, I am amazed at how far advanced Blue Ridge is over other log companies. They are the way of the future” Robert commented. Another obvious advantage is the cost. “You know the cost before you ever start building. Blue Ridge actually is responsible for the construction of the home. To me, another big advantage to our buyers is our Blue Ridge homes never gets wet inside, unlike traditional construction of a log or stick framed home. When Blue Ridge installs a home, it is in the dry within the day. Then the crews arrive to do all the final trim work. 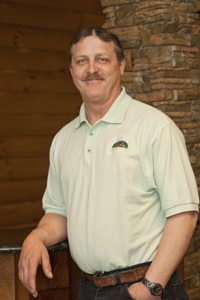 Our clients love our process because we have made building a log home a joy.” Robert is originally from Tryon, NC and enjoys working for a locally owned company. He and his wife, Gail, live in Spartanburg and are very pleased to be back in the area. After more than 20 years with The Walt Disney Company, Tom knows a few things about making dreams come true. 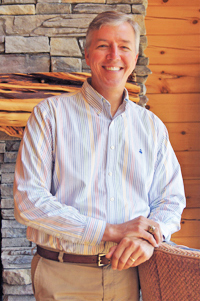 With a passion for customer service that is matched only by his enthusiasm for log homes built the Blue Ridge way, Tom is eager to help clients fulfill their vision—on time and on budget—by creating beautiful log homes where generations can gather to celebrate life’s best moments, and create cherished lifetime memories. Tom and his wife, Paula, live in Greenville with their three children. Active in his son’s Boy Scout troop, Tom also enjoys serving at his church. He spends his spare time gardening, woodworking, and making plans for his own log home. Karen Morgan is usually the first face you see when you visit our model center. She tracks and coordinates all visitor traffic with the sales staff. Before coming to Blue Ridge Log Cabins she worked as an assistant manager at Amazon for 5 years. Right out of high school she was in the Medical Tech program at SCC and worked full time as an In Home Health Aid. Later she went on to become a field representative for Mary Black Hospital. She enjoys spending as much time as she can with family and friends and working around the home. Her goals include to be the best mother and wife she can be and to open up her home to Children in need. Karen is married and has a 4 year old named Farrah. 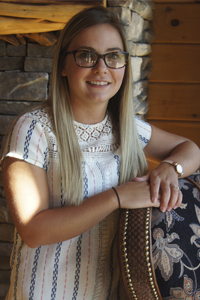 Cathy is excited to join the Blue Ridge Log Cabin Team as our Finance Coordinator. 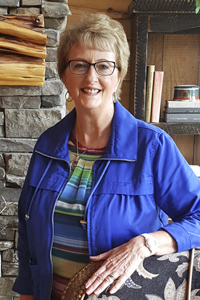 With over 30 years experience in the mortgage industry her hopes are to help people navigate the world of finance right into there new log home! Cathy grew up in Ohio, met her wonderful husband Dave in Florida and after visiting SC ten years ago, fell in love with Spartanburg and made it their home. Cathy and Dave enjoy life on the lake with their furry family Tasha and Tinkerbelle and traveling RV style, especially meeting up with family for vacation. If time permits you will find Cathy cooking quilting, sewing or crocheting. 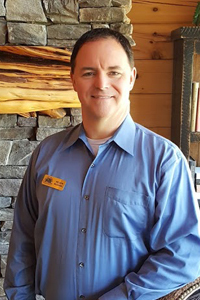 Freddie’s two decades of System Built Industry experience are a significant part of the Blue Ridge Log Cabins sales team’s success. Freddie joined the Blue Ridge family in 2007 and currently fills a significant role for the organization as a Field Representative to train Sales Associates in builder training. Freddie leads our in house educational seminars for potential customers. He and his wife have two children, and are involved with the Juvenile Diabetes Research Foundation. Freddie is also a competitive golfer. Business Development makes Greg’s position one of enjoyment and satisfaction. Although he has held many positions in his 25+ years in the housing industry, he is nowhere more at home than working through the individual aspects of a business development project. Blue Ridge Log Cabins is the perfect fit for Greg, as they both expect excellence in any endeavor they pursue. Greg challenges himself to think outside the box because as he states, “You will never know your true potential until you search for it”. 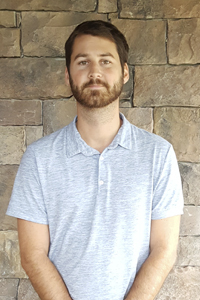 A graduate from Wofford with an English degree, Mills is constantly pursuing his two passions; learning all the in’s and out’s of the log cabin industry and writing. 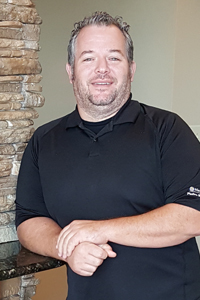 Joining the team in 2010, Mills spent his days with the service team assisting customers needs and in 2014 joined BRLC’s Builder Developer division where he engages with customers who want to build multiple homes. His degree in English and love for writing has also proved to make Mills a valuable asset to the Blue Ridge Marketing team. Mills has turned into our designated blogger, letting followers get an inside look on life on the road with the BRLC team. A career of almost four decades in the building/developing business makes Wayne a significantly valuable team member with a perspective, insight and first hand knowledge of every facet of the building and home buying process. 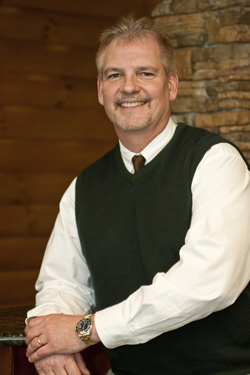 Since joining the Blue Ridge family in 2002, he continues to serve clients with seasoned perspective. He has interacted with some of the largest land developers in the Southeast. He and his wife, Sandy, live in a Blue Ridge Log Cabin and enjoy spending time with their five children and 12 grandchildren. Wesley comes to Marketing from our… Engineering Department!? You read that right, Wesley served a stint in Engineering but has always had an indirect hand in marketing at Blue Ridge by preparing renderings and floor plan flyers. He attended Western Carolina University and earned a BS in Engineering but got his feet wet in marketing from the school of hard knocks. In 2003 Wesley opened a screen printing and sign shop that operated for 3 years. During this time he had to pick up graphics and website design layout fast as the only designer he could budget. Wesley is married to his wife, Kim and has 2 boys, Cole and Cooper. He enjoys spending time with his family and going on trips. Jonathan Kee lives in Anderson, SC with his wife Rachel and their two dogs Baby and Charlie. 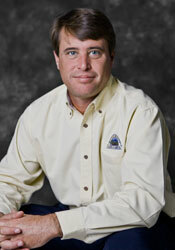 He has a professional background of 20 years of residential and commercial construction and manufacturing leadership. Jonathan comes from three generations of home builders and small business entrepreneurs and attributes a large portion of his working knowledge from growing up in this environment. Jonathan spent the last 28 years in the Greenville-Spartanburg, SC area and loves the close proximity of both mountain wilderness and mid-sized city life. In his leisure Jonathan enjoys good humor, reading, woodworking, craft beer and wine tasting, real estate investment/remodeling, meals with friends and family, supporting his church community, and learning from intelligent business people/entrepreneurs. Jonathan enjoys serving people well and looks forward to the challenges that give life its zest. 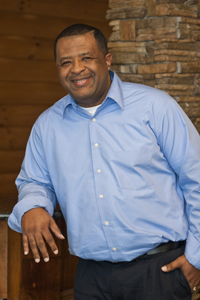 Parrish is a Spartanburg, SC native that is no stranger to Blue Ridge Log Cabins. He worked two summers at BRLC while he was in High School. He went on to study at the University of Mississippi and received an Interdisciplinary Studies Degree from USC Upstate with focuses in Parks and Recreation, English, and Sociology. After college Parrish moved west to Jackson, WY for a year to experience the mountainous lifestyle. When he moved back home to South Carolina he practiced commercial real estate for two years in the upstate of SC specializing in land acquisition. In 2018 he came back to Blue Ridge to be a member of our Outside Construction team. He maintains communication between clients and the Blue Ridge team as well as scout for site progression. In his spare time Parrish enjoys everything outdoors, and all things football, Ole Miss and Carolina Panthers in particular. 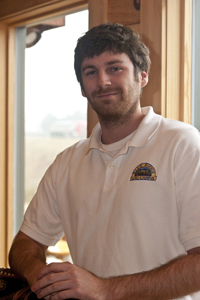 Daniel has a long background in the construction field that began with a stucco company, working in Asheville, NC. He did the stucco on everything from high end homes in Biltmore Village to upgrading Mission Hospital. He left the stucco business to get a little closer to the ground, laying flooring with another local modular home factory. He quickly moved up to supervisor over the yard crew from flooring, trim, and final touches. Daniel also has experience in HVAC, painting, and drywall work. While doing drywall he helped remodel the interior of Spartanburg Regional Medical Center. When that job was completed Daniel came to work at Blue Ridge Log Cabins and with-in the first year he became Team Leader in our Final Finish Department. He was then promoted to Service Supervisor due to his skill and attention to detail. Daniel loves to help homeowners get completely comfortable in their dream cabin. He spends his spare time with his wife and three kids. They enjoy boating, swimming, riding motorcycles, and the simple quiet moments, talking, and watching tv of kids choice (aka cartoons). Donn started in sales, purchasing, and manufacturing management before eventually running manufacturing for a lubrication equipment company. He built his first log home through nights and weekends in 20 months while working a full time job. 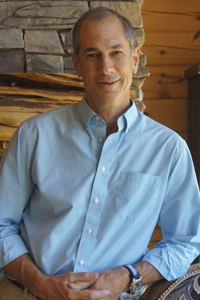 After leaving manufacturing, Donn built spec log homes in the Asheville area. He became a project manager and then a general manager in construction before coming to Blue Ridge. 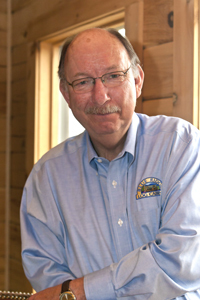 Donn brings a unique combination of skills like sales, manufacturing, and experience in cabin construction. These skills, combined with his MBA from Duke, make Donn a valuable addition to our family. Donn and his wife have 3 boys and 3 girls. He enjoys tennis, craft beer from Asheville, and is very passionate about Duke Basketball. 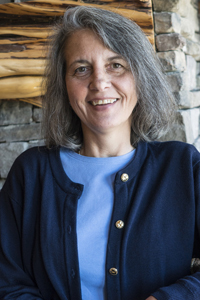 Wanda began her career with Blue Ridge Log Cabins with a card table and a straight chair when Mr. Taylor first opened the doors in 1997. Wanda keeps everyone on task at Blue Ridge, with a plethora of responsibilities. During her career she has assumed numerous job responsibilities at Blue Ridge from scheduling appointments to preparing monthly and year-end financial statements. 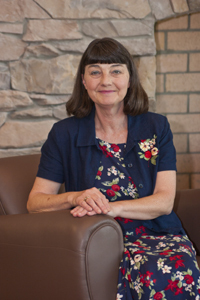 When Wanda has a free moment, she enjoys spending time with her husband Pat, their three children and four grandchildren. She also owns an exquisite collection of rare baby dolls. 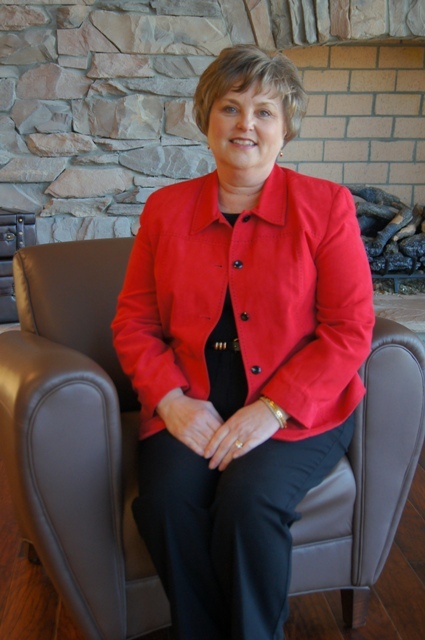 Laura has over 30 years experience in the accounting industry. Originally from Brookfield, CT, she relocated to SC in 1989. She obtained a BBA in Accounting from Western Conneticut State University and an MSA in Forensic Accounting from New England College. She has served prior roles as Assistant Accounting Manager, Corporate Accountant and Pricing Analyst for a Fortune 500 Company. In her spare time, Laura enjoys figure skating, horseback riding, music, and the outdoors. She also collects model horses from 1950s-1970s. Laura lives with her partner of 14 years. 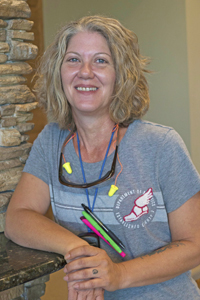 Sandy lived in North Carolina all her life until moving to Inman, SC in 2014. She has an extensive background in Accounts Payable, Receivables and Purchasing. One of the companies she worked for in the past was a supplier to Blue Ridge Log Cabins, so she was already familiar with many of her current associates. Sandy and her husband, Clyde, have two sons and four grandchildren which she loves spending time with. In her spare time, she enjoys studying, preparing, and teaching Sunday School lessons and has taught all age groups over the years. 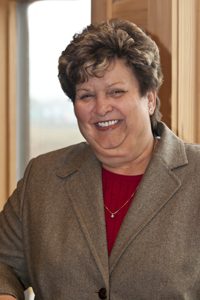 Nancy comes to us with an extensive background in purchasing, as well as modular construction. Throughout her career she has been directly involved in many facets of business including procurement, scheduling, budgeting, and analyzing material requirements. Her communication skills with vendors and fellow associates are key to insure materials and pricing are where they need to be. Nancy has a B.A. degree in English from Western Connecticut State University. She is married to a private school principal, they have five children between them who reside all over the country. Spending time with family and friends is one of her favorite things to do along with running with her dog. 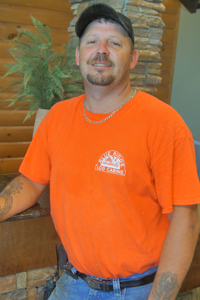 Eddie has been with Blue Ridge Log Cabins since 2011 and has displayed his talents throughout many different construction disciplines. He started off in framing, then went to a position on our Quality Control team, served as Supervisor of Shipping and Receiving and he is now a Purchasing Agent in the Purchasing Department. Eddie is married and has five children. When not at BRLC, Eddie enjoys gardening and woodworking. 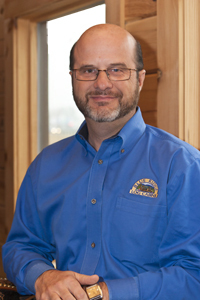 Doug is one of the longest tenured team members with Blue Ridge Log Cabins. With 17 years of service as part of our team. His talents provide the experience necessary to be chief architect on Blue Ridge Log Cabins’ two state-of-the-art manufacturing facilities. He is an inspirational leader within the manufacturing division. Doug’s knowledge of construction and manufacturing has given him a unique blend of insight into the manufacturing process. His previous experience includes managing a plastics company, as well as eight years with a modular manufacturer. 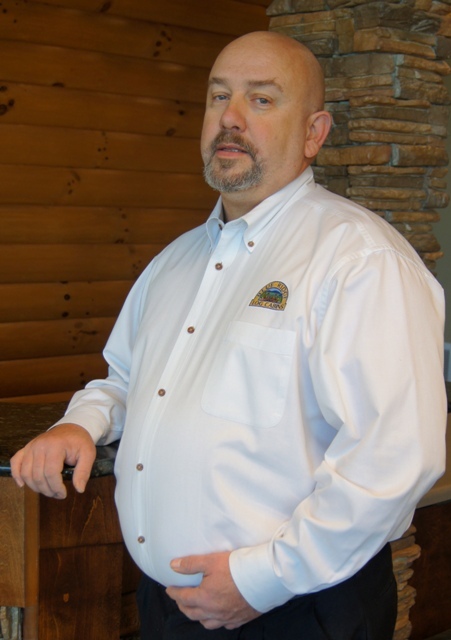 He recently served 4 years on the NAHB Log Home Council and the NAHB Building Systems board of directors serving as the Log Homes council Chairperson in 2014. Doug is married to his wife Crystal and has four children. He enjoys golfing, cooking, traveling and spending time with his family. 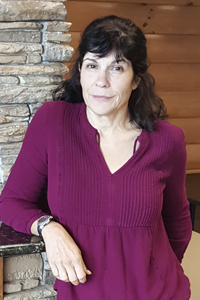 With an Associate Business Administration degree from ICC (Rutherford, North Carolina), Carol has been the HR Manager at Blue Ridge since 2001. Prior to joining the team, she spent 15 years in the textile industry. She and her husband live in Mill Spring, NC and have three children and three grand children. In her spare time she enjoys bowling, being outdoors and serving as an active member of their church family. 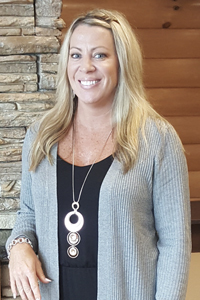 Chi joined Blue Ridge Log Cabins in 2017 bringing her strong skill set of professional recruiting and Human Resources. In her time here she has been instrumental in staffing increases as our second production line was brought online. Chi prides herself in taking the time to listen to each candidate in hopes to find the position that best fits their skills and expectations. Her winning personality, professional attitude and efficient nature has made her an avid addition to the team. She is thankful to have the opportunity to work with the amazing staff at Blue Ridge and is excited to be a part of its success. Chi loves spending her spare time with her family and friends. After years of considering the possibility of a career in the architectural industry, Dewayne finally decided to take the steps necessary to fulfill his career dreams. 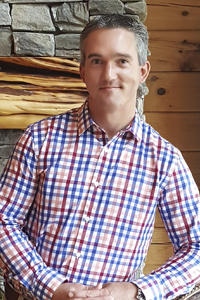 He joined the Blue Ridge Log Cabins family in 2004 and quickly became an accomplished designer, gaining expertise in the intricacies of the building process. A devoted family man, Dewayne has three daughters and enjoys working out. 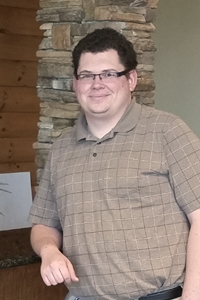 Cody started his career in architectural drafting at Blue Ridge Log Cabins in 2014. Cody attended Highland School of Technology High School in Gastonia, NC for four years, where he began his career path in architectural engineering. He graduated Isothermal Community College in May 2014 with a degree in Architectural Drafting. Cody brings new energy to the team. He is very knowledgeable in all aspects of architectural design and drafting software. Cody is very involved with his church, in several aspects. He loves to collect antiques as well as spend time with family. He hopes to further his career in architecture and keep expanding his knowledge. Gabe joined the Engineering Department in the summer of 2017. 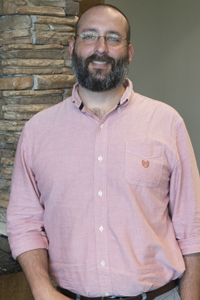 Since graduating from Clemson University with a degree in Architectural Design in 2002, he has worked in many different fields of design including commercial, residential, industrial greenhouse and spectator seating. His passion has always been residential design and he is looking forward to learning from and contributing to the Blue Ridge Log Cabin team. When he isn’t drafting and designing he can be found promoting bluegrass music in the region or reeling in a trout in a local mountain stream. Originally from Rock Hill, SC he is excited to be back in his home state and doing what he loves. After being forced to take Drafting (by hand) by his father for 3 years at Shelby High School, Stephen began his career in Residential Drafting in Charlotte NC in 1990. After over 25 years of drawing dream homes, Stephen joins the Blue Ridge Log Cabin team to began to help draw dream vacation homes. When not drawing, Stephen is a devoted family man with three beautiful children aged 14, 13, and 10. He has been married to his wife and best friend for almost 17 years. His wife is a teacher at Thomas Jefferson Classical Academy. They make their home in Shelby NC. Together they breed English Cream Golden Retrievers. Stephen feels blessed and proud to be at Blue Ridge and looks forward to being an asset to this already awesome team! 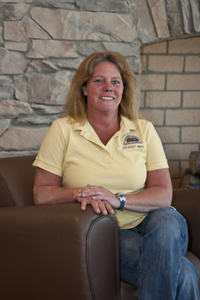 Lora came to Blue Ridge Log Cabins in 2010 with over 10 years experience in the modular home industry. She has past experience as a production worker, Quality Control Inspector, and Quality Control Manager before becoming Quality Control and Safety Manager at BRLC. In her spare time she enjoys spending time with her three grandsons, working in her yard, vegetable garden, and greenhouse. With 20 years of experience in IT & construction project management, safety consulting and home remodeling, she was mesmerized the moment she set foot in our plant. In her words, “As a subcontractor and PM in traditional construction, it was challenging to get multiple trades to collaborate on a project. Most subcontractors do not know the people performing other trades, nor seem to care about how their work affects the entire project, they just want to get in, get out and get paid. For me, the most exciting part of working at BRLC is the fact that we are a team that genuinely cares about the homes we build. We work side by side every day and are a family that comes together to build the finest modular homes in the country. As a QC Inspector, I have the opportunity to inspect every detail to ensure our homes are built as designed. I get paid to be picky and I love it!” In her leisure time, Christy enjoys cooking, camping, fly-fishing, rock climbing and traveling with her daughters. 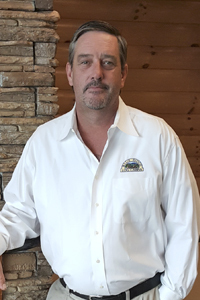 David joined Blue Ridge Log Cabins in June of 2017 with 30 years in residential and commercial building in and around Upstate South Carolina. From over a decade as a Superintendent, David is experienced in inspecting, scheduling and finalization of projects. He’s also familiar with local and national codes. His experience brings a wealth of knowledge to the Quality Control team. Jeff brings 19 years of framing and welding experience in both residential and commercial construction industries. Jeff joined the BRLC team in 2010 in our framing division and was promoted to our Quality Control team due to his extensive knowledge of framing and keen eye for detail. Jeff’s hobbies include playing pool and building hot rods, but mostly enjoy spending time with his lovely wife and beautiful daughter. 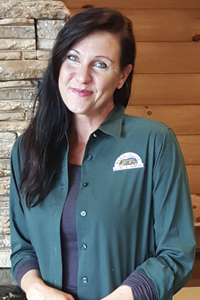 Cindy joined the Blue Ridge Log Cabins Team in January of 2017. She brings experience in Rough-In Electric/Plumbing, Quality Control, Management in High Volume Hiring and Team Building, Workplace Violence, Workplace Safety and HR investigations. Cindy and her husband, Greg, have been married for more than 21 years. In her downtime, she enjoys gardening, spending quality time with her grandchildren, Camden and Caroline…and indulging in hot and fresh Krispy Kreme Donuts! Chris has lived all of his life nested in the beautiful mountains of Western North Carolina. He has invested 30-plus years into the building industry. He comes to Blue Ridge log cabins with an exceptional background including commercial, residential, antique log, post and beam, and timber peg homes. Chris signed on with us in July of 2017 as our final finish supervisor and is currently our framing supervisor. With the exceptional leadership qualities he has, it makes it easy for him to engage with his team members to produce the log home of your dreams. Chris enjoys trout fishing, boating, and spending time with his wonderful family. 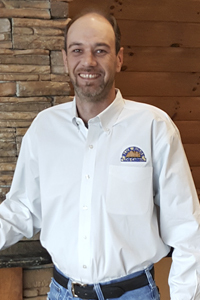 Corey joined the Blue Ridge Log Cabins family in November of 2007 and has over 25 years of electrical experience in the modular home industry. 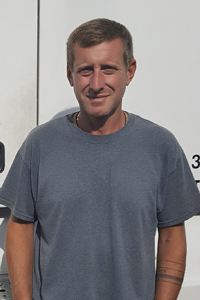 He was in a lead position of the electrical team before being promoted to Supervisor of our Electrical, Roofing, and Plumbing departments in the spring of 2018. He feels honored to be able to oversee these areas of the building process before each home leaves the facility. Cory has been married to his wife, Jamie, for 27 years and has a daughter, Morgan. He is a devoted husband and father and enjoys spending time with his family. He also enjoys camping, hunting, and fishing. 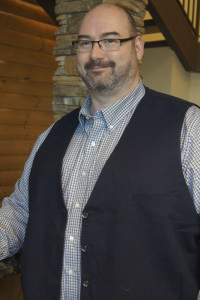 Glen Hutchins has been at Blue Ridge Log Cabins since August of 2006. 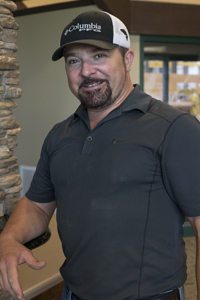 Glen has an extensive background in carpentry, roofing, and masonry work. He loves working at BRLC building the heavy timber roofs and dormers. When not at work he enjoys spending his free time with his family. 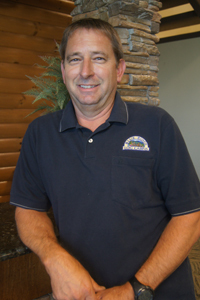 Jim has an extensive back ground in maintenance and homebuilding that goes back 25+ years. 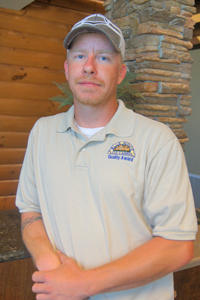 The past decade he has spent his time at Blue Ridge, starting in maintenance and eventually promoted to manager. He loves the responsibility of keeping the entire facility operating. In his spare time he enjoys fishing and camping. 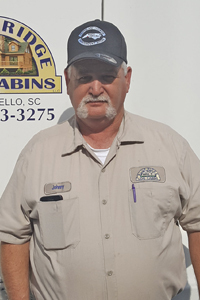 After six years as a supervisor in the home building industry, James became the framing supervisor for Blue Ridge Log Cabins in 2005. Fast forward to 2013 and an opening for our transportation Manager got his attention. Having his CDL for transporting cars for his used car business, along with his management experience, made him the perfect candidate. He loves the logistics involved in delivering dream homes to over 30 states. James has been married to his wife, Renee, for 19 years, and they have two sons. When he has free time, He enjoys his passion for hot rods.